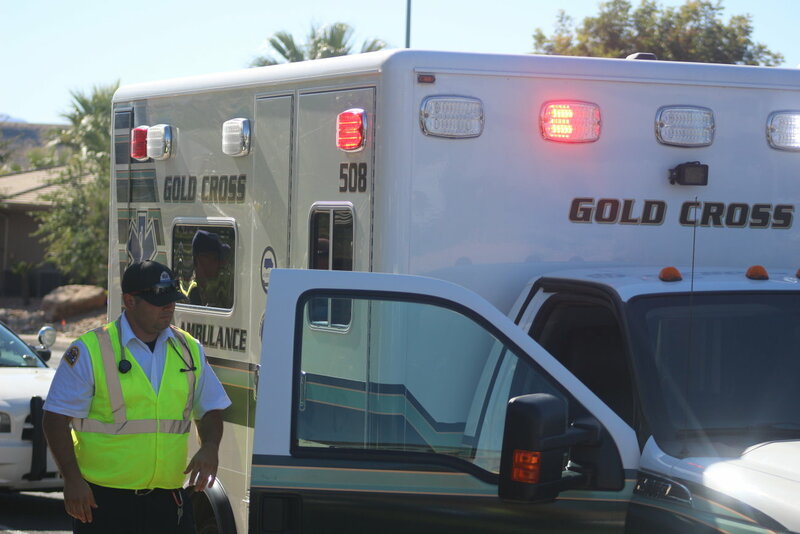 ST. GEORGE – A teen riding a bicycle was taken to the hospital following a collision with an SUV while attempting to cross Riverside Drive Tuesday afternoon. Police and other responders were dispatched to Rio Plaza at 558 E. Riverside Drive around 4:20 p.m. following a report of a boy on his bike being hit by an eastbound Honda CR-V, St. George Police officer Dave McDaniel said. Witnesses told police the 14-year-old had been waiting for an opening in the traffic before he began to ride his bike toward Sunland Drive. The driver of an approaching Honda CR-V saw the teen too late and ran into him despite applying the brakes, McDaniel said. The force of the collision dented the front passenger side of the car as the boy hit a corner of the windshield. He was taken to Dixie Regional Medical Center for care. McDaniel was unable to confirm the extent of his injuries. The driver of the Honda, a man who appeared to be in his early 20s, was issued a citation for failure to yield to a pedestrian in a crosswalk. 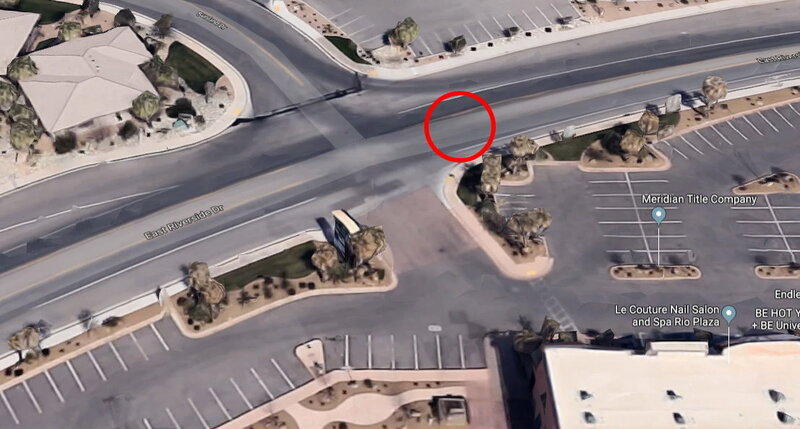 Although the crosswalk was unmarked, the entrance into the Rio Plaza parking lot is opposite Sunland Drive, creating an intersection and the accompanying “unmarked” crosswalks. “Pretty much any intersection is a crosswalk,” McDaniel said. Under Utah law, a pedestrian “owns their side of the road” when they use a crosswalk, marked or otherwise, McDaniel said. When they step off the curb and into the street to cross, they own the right of way on that side of the road and traffic is required to stop until the pedestrian has passed. Conversely, traffic on the opposite side of the roadway can still pass by until the pedestrian enters that side. The law in regard to school crosswalks changed earlier this year as traffic on all lanes must stop until the pedestrian is completely out of the road. It doesn’t matter if a crossing guard is present or not, McDaniel said. Poor kid, hope he’s okay. I feel bad for everyone. This sounds like truly an accident. Somehow, the driver gets blamed for most of these incidents. Depending on the timing of any particular occurrence, there may be plenty of blame to be spread around, especially at an unmarked, though legal crosswalk. In this case, the driver was cited right away and I don’t have all the facts. PS to Moderators: Your new sign-in system is hell on earth. I can live with that but unless you click on just the right box, you either get an error message or a query about what color scheme you would prefer, much more annoying than the usual “I am not a robot” thing. I believe the driver of the car is mostly at fault with this accident, but my issue is that the article clearly states that this young man was riding his bike in the crosswalk. I was always taught that you walk your bike in a crosswalk or even carry your skateboard or whatever form of transportation you are using. There is a reason it is called a crosswalk and not a cross ride or even a cross run.